C.N.C. Machining, General Engineering & Reconditioning Work. Our machining workshop covers 1100 square metres and is serviced by?ten tonne and?three tonne overhead cranes. 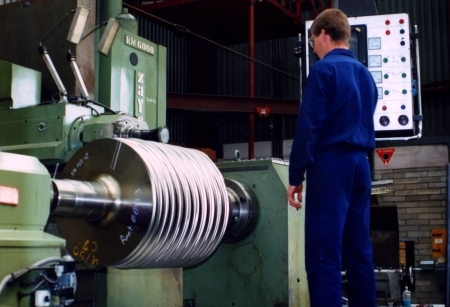 McColl Engineering has been operating since 1971, During this period we have invested heavily in state of the art machine tools and machining equipment to meet Quality and Delivery requirements of our Customers. Our technical expertise and advice is available to our customers at all times. We are proud of our achievements and?our reputation as a reliable supplier of Quality Products and Machining Services for a diverse range of industries.<?xml:namespace prefix = o ns = "urn:schemas-microsoft-com:office:office" />?